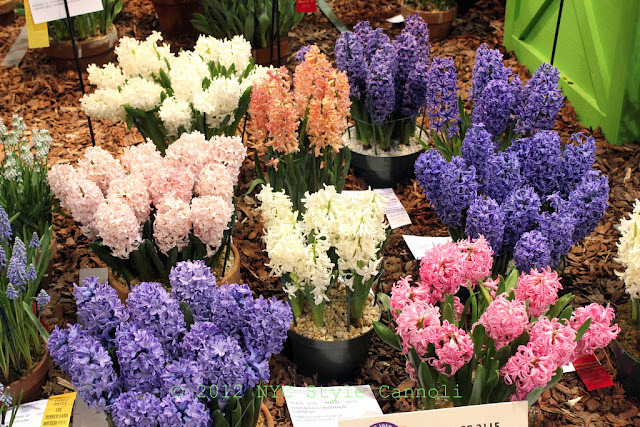 Photo Gallery Tuesday "Rainbow of Hyacinths"
This was taken at the 2012 Philadelphia Flower Show. I just loved the array of colors, so very pretty. We are going to have very summer like temps this week, and I thought this photo would be lovely to get everyone ready for spring 2012 !! Hope your Tuesday is the best it can be ! !